Just a sample of the places & faces we've seen! Inspired by the auras of artists with passion & conviction, Norm began his musical journey as a Radio DJ during college but quickly developed a national reputation as a very dynamic live performer on stage with the Reggae Rock Soul & Ska band Crucial DBC ... which then led to his work with the iconic Pop/Ska band General Public. Rhythm Child's brand of upbeat & honest music is a direct result of those early years and his positive global values have been shared across the country with performances ranging from center stage at LA's Nokia Theatre to the south lawn of The White House. 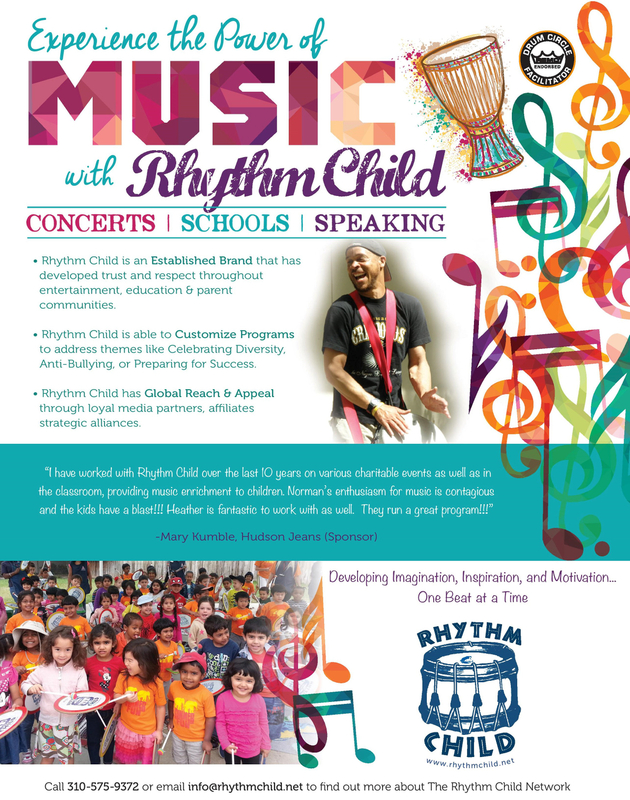 Rhythm Child performances are designed to be highly interactive with audience members drumming along with the band. The shows can be anything from 2 musicians playing guitar & drum to a full-blown Soul Reggae & Ska band. Regardless of the size, Rhythm Child's music is engaging and enjoyable for all! You can experience the upbeat positive vibration of Rhythm Child Music for Families!